Ordered before 17h? Direct dispatch! Return refunded PayPall If you pay w. PP! Prices incl. VAT (EU) - NO VAT (World)! Soon products here! Like to see you soon! If you pay with PayPal! These General Terms and Conditions of Stichting Webshop Keurmerk were drafted in consultation with the Consumentenbond [Consumer’s Association] in the context of the Self-regulation Coordination Group [Coördinatiegroep Zelfreguleringsoverleg CZ] of the Socioeconomic Council [Sociaal-ecomische Raad] and come into force on 1 June 2014. Technology for distance communication: a means to be used for concluding an agreement without the Consumer and the Entrepreneur being together in the same place at the same time. 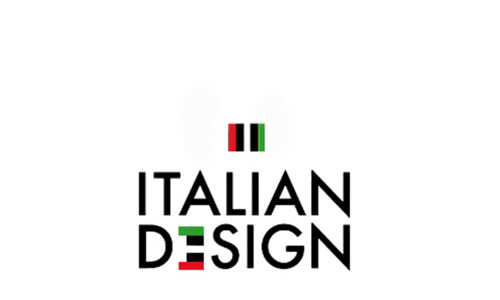 Name of Entrepreneur: Italian Design B.V. These General Terms and Conditions apply to any offer from the Entrepreneur and to any distance contract concluded by the Entrepreneur and the Consumer. Before concluding a distance contract, the Entrepreneur shall make the text of these General Terms and Conditions available free of charge and as soon as possible. If this is reasonably impossible, the Entrepreneur shall indicate in what way the General Terms and conditions can be inspected and that they will be sent free of charge if so requested, before the distant contract is concluded. In the event that specific product or service condition apply in addition to these General Terms and Conditions, the second and third paragraphs shall apply accordingly, and in the event of contradictory terms and conditions, the Consumer may always appeal to the applicable provision that is most favourable to him/her. If an offer is of limited duration or if certain conditions apply, it shall be explicitly stated in the offer. The offer contains a full and accurate description of the products, digital content and/or services offered. The description is suitably detailed to enable the Consumer to assess the products, or services and/or digital content adequately. If the Entrepreneur makes use of pictures, they are truthful images of the products and/or services provided. Obvious errors or mistakes in the offer do not bind the Entrepreneur. All offers contain such information that it is clear to the Consumer what rights and obligations are attached to accepting the offer. Subject to the provisions in paragraph 4, the contract becomes valid when the Consumer has accepted the offer and fulfilled the terms and conditions set. If the Consumer accepted the offer via electronic means, the Entrepreneur shall promptly confirm receipt of having accepted the offer via electronic means. As long as the receipt of said acceptance has not been confirmed, the Consumer may repudiate the contract. If the contract is concluded electronically, the Entrepreneur will take appropriate technical and organisational security measures for the electronic data transfer and ensure a safe web environment. If the Consumer can pay electronically, the Entrepreneur shall observe appropriate security measures. The Entrepreneur may, within the limits of the law, gather information about Consumer’s ability to fulfil his payment obligations, and all facts and factors relevant to responsibly concluding the distance contract. If, acting on the results of this investigation, the Entrepreneur has sound reasons for not concluding the contract, he is lawfully entitled to refuse an order or request supported by reasons, or to attach special terms to the implementation. the requirements for cancelling the contract if the contract has a duration of more than one year or for an indefinite period of time. the standard form for withdrawal if the Consumer has the right of withdrawal. In case of a continuing performance contract, the stipulation in the previous paragraph only applies to the first delivery. The Consumer can repudiate a purchase contract for a product without giving reasons for a period of reflection of 14 days after receipt. The Entrepreneur may ask the Consumer about the reason for the withdrawal but cannot force him to state his reason(s). if the Consumer ordered several products in the same order: the day on which the Consumer or a third party appointed by him received the last product. The Entrepreneur may refuse an order of several products with different delivery dates provided that he clearly informs the Consumer prior to the order process. in case the delivery of a product consists of several batches or parts: the day on which the Consumer or a third party appointed by him received the last batch or the last part. in case of an agreement about regular delivery of products during a given period: the day on which the Consumer or a third party appointed by him received the first product. The Consumer can terminate an agreement for services or an agreement for delivery of digital content that is not delivered on a physical carrier without giving reasons during at least 14 days. The Entrepreneur may ask the Consumer about the reason for the withdrawal but cannot force him to state his reason(s). The reflection period referred to in Article 3 starts on the day following the conclusion of the agreement. If the Entrepreneur has not provided the Consumer with the legally required information about the right of withdrawal or has not provided the standard form for withdrawal, the reflection period expires twelve months after the end of the original reflection period in accordance with the reflection period determined in the previous sub-clauses of this Article. If the Entrepreneur provided the Consumer with the information referred to in the previous article within twelve months after the starting day of the original period of reflection, the period of reflection expires 14 day after the day on which the Consumer received the information. During this period, the consumer shall handle carefully the product and accessories like e.g. product labels and packaging. He will try to extract the product only or use to the extent necessary to the nature, characteristics and operation of the product and to decide whether the product. Consumer may only handle and inspect the product in the manner in which one is allowed to handle a product in a physical shop. During this period, the consumer shall handle carefully the product and accessories like e.g. product labels and packaging. He will only unpack or try the product as far as needed to determine the nature, characteristics and operation of the product to be able to decide whether he wants to keep the product. The leading thought is that the consumer should only handle and inspect the product as far as he would be allowed in a physical store. The Consumer is only liable for the decrease in value of the product that is caused by the way of handling the product which went further than allowed in sub-section. The Consumer is not liable for the decrease in value of the product if the Entrepreneur has not provided him with all legal information about the right of withdrawal before concluding the Agreement. If the Consumer exercises his right of withdrawal he is obliged to in advance notify the Entrepreneur unambiguously with the standard form for withdrawal within the period of reflection. The Consumer shall return the product or deliver it to (the authorized representative of) the Entrepreneur as soon as possible but within 14 days after receipt.1. This need not be done if the entrepreneur offered to collect the product The Consumer observed the period of returning the product in any event if the product is returned before the expiration of the period of reflection. The Consumer shall return the product with all delivered accessories and if reasonably possible in the original state and packing and in conformity with reasonable and clear instructions given by the Entrepreneur. The risk and the burden of proof for the correct and timely exercise of the right of withdrawal fall on the Consumer. The Consumer shall bear the direct costs of returning the product. If the Entrepreneur has not reported that the Consumer has to bear these costs or if the Entrepreneur pointed out that he will bear the costs himself, the Consumer need not pay the cost of returning the product. if the Consumer has not explicitly requested that the performance of the service or the supply of gas, water and electricity or district heating be started during the period of reflection. the Entrepreneur failed to confirm the Consumer’s statement. If the Consumer exercises his right of withdrawal, all additional agreements end by operation of law. If the Entrepreneur makes the notification of withdrawal by electronic means possible, he shall promptly send a return receipt. The Entrepreneur shall reimburse all payments made by the Consumer, including any delivery costs that the Consumer may charge for the returned product, as soon as possible but within 14 days following the day on which the Consumer notified him of the withdrawal. Unless the Entrepreneur offers to collect the product himself, he can wait with paying back until having received the product or until the Consumer proved that he returned the product, whichever occurs first. The Entrepreneur shall make use of the same means of payment that the Consumer used, unless the Consumer consents to another method. The reimbursement is free of charge for the Consumer. If the Consumer opted for a more expensive method of delivery instead of the cheapest standard delivery, the Entrepreneur need not reimburse the additional costs for the more expensive method. Agreements that are concluded during a public auction. A public auction is defined as a selling method whereby the Entrepreneur offers products, digital content and/or services to the Consumer who is personally present or has the possibility to be personally present at the auction under the direction of an auctioneer and whereby the successful bidder is obliged to purchase the products, the digital content and/or the services. the Consumer stated that he will lose his right of withdrawal as soon as the Entrepreneur has fully performed the agreement. Perishable products or products with a limited durability. Alcoholic drinks of which the price has been agreed upon at the conclusion of the agreement but of which the delivery can take place only after 30 days, and whose real value depends on fluctuations in the market which the Entrepreneur cannot affect. the Consumer stated that he will lose his right of withdrawal by doing so. The prices of the products and/or services provided shall not be raised during the validity period given in the offer, subject to changes in price due to changes in VAT rates. Contrary to the previous paragraph, the Entrepreneur may offer products or services whose prices are subject to fluctuations in the financial market that are beyond the Entrepreneur’s control, at variable prices. The offer will state the possibility of being subject to fluctuations and the fact that any indicated prices are target prices. Price increases within 3 months after concluding the contract are permitted only if they are the result of new legislation. the Consumer has the authority to cancel the contract before the day on which the price increase starts. All prices indicated in the provision of products or services are including VAT. The Entrepreneur guarantees that the products and/or services comply with the contract, with the specifications listed in the offer, with reasonable requirements of usability and/or reliability and with the existing statutory provisions and/or government regulations on the day the contract was concluded. If agreed, the Entrepreneur also guarantees that the product is suitable for other than normal use. An extra guarantee offered by the Entrepreneur, his Supplier, Manufacturer or Importer shall never affect the rights and claims the Consumer may exercise against the Entrepreneur about a failure in the fulfilment of the Entrepreneur’s obligations if the Entrepreneur has failed in the fulfilment of his part of the agreement. ‘Extra guarantee’ is taken to mean each obligation by the Entrepreneur, his Supplier, Importer or Manufacturer in whom he assigns certain rights or claims to the Consumer that go further than he is legally required in case he fails in the compliance with his part of the agreement. The Entrepreneur shall exercise the best possible care when booking orders and executing product orders and when assessing requests for the provision of services. The place of delivery is at the address given by the Consumer to the Entrepreneur. With due observance of the stipulations in Article 4 of these General Terms and Conditions, the Entrepreneur shall execute accepted orders with convenient speed but at least within 30 days, unless another delivery period was agreed on. If the delivery has been delayed, or if an order cannot be filled or can be filled only partially, the Consumer shall be informed about this within one month after ordering. In such cases, the Consumer is entitled to repudiate the contract free of charge and with the right to possible compensation. After repudiation in conformity with the preceding paragraph, the Entrepreneur shall return the payment made by the Consumer promptly but at least within 30 days after repudiation. The risk of loss and/or damage to products will be borne by the Entrepreneur until the time of delivery to the Consumer or a representative appointed in advance and made known to the Consumer, unless explicitly agreed otherwise. 1. The Consumer may at all times terminate a contract that was concluded for an indefinite time and which extends to the regular delivery of products (including electricity) or services, with due observance of the termination rules and subject to not more than one month’s notice. 2. The Consumer may at all times terminate a contract that was concluded for a specific time and which extends to the regular delivery of products (including electricity) or services at the end of the specific period, with due observance of the termination rules and a subject to not more than one month’s notice. - at all times with the same notice as the Entrepreneur stipulated for himself. 4. An agreement concluded for a definite period which extends to the regular delivery of products (including electricity) or services may not be automatically extended or renewed for a fixed period. 5. Notwithstanding the preceding paragraph, a contract for a definite period which extends to the regular delivery of dailies, newspapers, weekly newspapers and magazines, may tacitly be renewed for specific period of three months at the most if the Consumer can terminate this extended agreement towards the end of the extension with a notice of one month at the most. 6. An agreement concluded for a definite period and which extends to the regular delivery of products or services may only be extended tacitly for an indefinite period if the Consumer can cancel it at any time with a notice of one month. The notice is three months at the most in vase the contract is about a delivery of dailies, newspapers and weeklies and magazines occurring regularly but less than once a month. 7. An agreement with limited duration of regular delivery of trial dailies, newspapers, weeklies and magazines (trial or introductory subscription) is not renewed tacitly and ends automatically after the trial or introductory period. If the duration of a contract is more than one year, the Consumer may terminate the contract at any time after one year with a notice of not more than one month, unless reasonableness and fairness resist the termination before the end of the agreed term. Unless otherwise stipulated in the agreement or in the additional conditions, the amounts to be paid by the Consumer must be settled within 14 days after the period of reflection, or if there is no period of reflection within 14 days after concluding the agreement. In case of an agreement to provide a service, this period starts on the day that the Consumer received the confirmation of the agreement. When selling products to Consumers, it is not permitted to negotiate an advance payment of more than 50% in the General Terms and Conditions. If an advance payment was agreed, the Consumer may not assert any right regarding the execution of the order in question or the service(s) in question before making the agreed advance payment. The Consumer has the duty to inform the Entrepreneur promptly of possible inaccuracies in the payment details that were given or specified. In case the Consumer has not complied with his payment obligation(s) in time, and the Entrepreneur has pointed out to him that the payment was late and allowed the Consumer a period of 14 days to comply with the payment obligations, the Consumer is to pay the statutory interest on the amount payable and the Entrepreneur is entitled to charge the Consumer with any extrajudicial collection costs. These extrajudicial collection costs amount to no more than 15% for outstanding amounts up to € 2,500, 10% for the following € 2,500 and 5% for the following € 5000, with a minimum of € 40. The Entrepreneur may deviate from the aforementioned amounts and percentages in favour of the Consumer. The Entrepreneur shall have a sufficiently notified complaints procedure in place, and shall handle the complaint in accordance with this complaint procedure. The complaints submitted to the Entrepreneur shall be replied within a period of 14 days after the date of receipt. Should a complaint require a foreseeable longer time for handling, the Entrepreneur shall respond within 14 days with a notice of receipt and an indication when the Consumer can expect a more detailed reply. A complaint about the Entrepreneur’s product, service or after-sales service can also be submitted to Stichting Webshop Keurmerk with a complaints form given in the Consumer Page of the website www.Stichting Webshop Keurmerk. org. The complaint will then be sent to the Entrepreneur in question and to Stichting Webshop Keurmerk. time or within 3 months after submitting the complaint, there will be a dispute that is open to the dispute settlement rules. Contracts between the Entrepreneur and the Consumer to which these General Terms and Conditions apply, are exclusively governed by Dutch law. With due observance of the provisions set out below, the disputes between the Consumer and the Entrepreneur about the formation or the performance of contracts related to products or services that the Entrepreneur must deliver or has already delivered can be submitted by both the Consumer and the Entrepreneur to Geschillencommissie Webshop, Postbus 90600, 2509 LP, The Hague (Den Haag) (www.sgc.nl). A dispute is handled by the Disputes Committee [Geschillencommissie] only if the Consumer submitted his/her complaint to the Entrepreneur within a reasonable period. The dispute must have been submitted in writing to the Geschillencommissie Webshop within three months after arising of the dispute. If the Consumer wishes to submit a dispute to the Geschillencommissie, the Entrepreneur is bound by this choice. When the Entrepreneur wishes to file the dispute to the Geschillencommissie, the Consumer must speak out in writing within five weeks after a written request made by the Entrepreneur whether he so desires or wants the dispute to be dealt with by the competent court. If the Entrepreneur has not heard of the Consumer’s option within the period of five weeks, the Entrepreneur is entitled to submit the dispute to the competent court. The Geschillencommissie’s decision will be made under the conditions as set out in the rules of the Arbitration Commission (http://www.degeschillencommissie.nl/over-onss/decommissies/2701/webshop). A decision made by the Geschillencommissie is a binding advice. The Disputes Committee will not handle a dispute or will discontinue handling it if the Entrepreneur is granted a moratorium, goes bankrupt or actually ended his business activities before the Commission has handled a dispute at the hearing and delivered a final award. If in addition to the Geschillencommissie Webshop another disputes committee recognised by or affiliated with the Stichting Geschillencommissies voor Consumentenzaken (SGC) [Foundation for Consumer Complaints Committees] or the Klachteninstituut Financiële Dienstverlening (Kifid) [Financial Services Complaints Board] is competent, the disputes that are mainly related to sales methods or distance services, the Geschillencommissie Webshop Keurmerk is preferably competent, and for all other disputes, the disputes committee recognised by and affiliated with the SGC or Kifid is competent. Webshop Keurmerk guarantees that its members follow the binding advice of the Disputes Committee Webshop unless the member decides to send the binding opinion for review to the Court within two months. This guarantee revives if after review by the Court the binding opinion has been confirmed and the judgement has become final. Webshop Keurmerk will pay this amount to the Consumer up to €10,000 per binding opinion. € 10,000 will be paid if the amount exceeds €10,000 per binding advice. As to the remaining amount, Webshop Keurmerk has an obligation to try to ensure that members comply with the binding advice. For the application of this guarantee, it is required that the Consumer submit a written appeal to Webshop Keurmerk and that he assign the claim against the Entrepreneur to the Stichting Webshop Keurmerk. If the claim against the Entrepreneur exceeds €10,000, the Consumer will be offered to assign the claim on for the excess amount to Stichting Webshop Keurmerk, after which this organisation, in its own name and at its own expense, shall try to get payment and fulfilment of these rights to compensate the Consumer. Additional provisions of and/or derogations from these General Terms and Conditions should not be to the Consumer’s detriment and must be put in writing or recorded in such a way that the Consumer can store them in an accessible manner on a long-term data carrier. These General Terms and Conditions will not be changed other than in consultation with the Consumentenbond (Consumers’ Association). Amendments to these Terms and Conditions are valid only after being published in the appropriate way, provided that in case of appropriate amendments, the provision that is most favourable for the Consumer shall prevail during the validity of an offer. Stay informed about new collections and special offers!